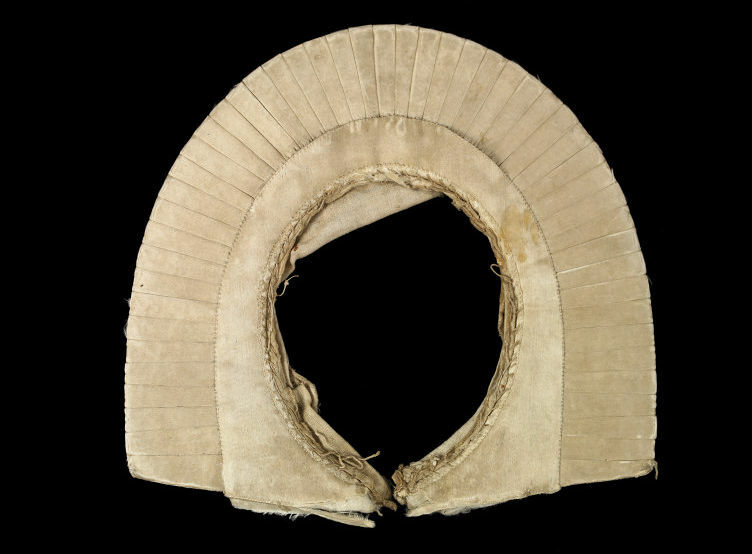 During the early 17th century, formal neckwear such as ruffs and starched collars needed support. Flat collars and the wide circles of gathered linen that made up ruffs had to be held up at the back of the neck in order to frame the face properly. A variety of materials were used to make such supports; this example is made of card covered with satin. It is closed in front for a ruff or collar that encircled the face. Such supports were called by a range of different names: ‘supportasse’ (a French term), underpropper, pickadil or rebato (an Italian name). 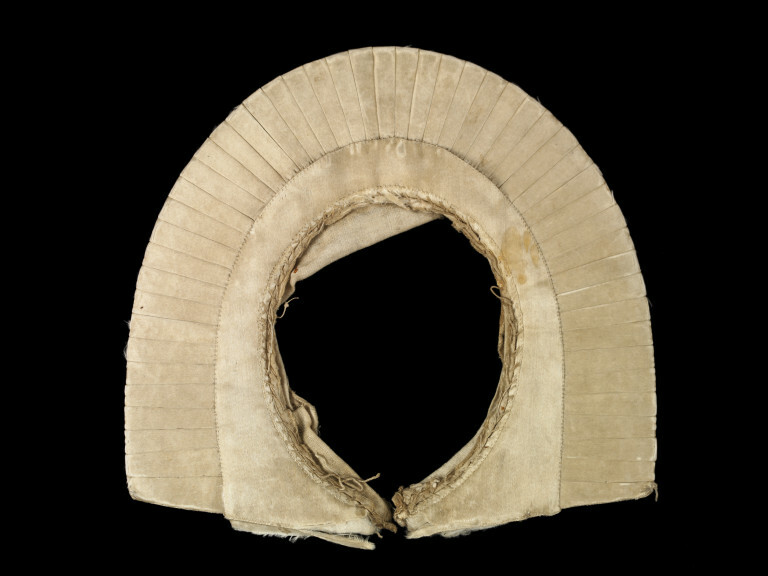 A cardboard supportasse, padded with cotton wool and covered with ivory satin, arranged in radiating strips around the outer edge. Closed in front, one metal eye attached, but probably not original. Rough strip of linen tacked to neck edge.